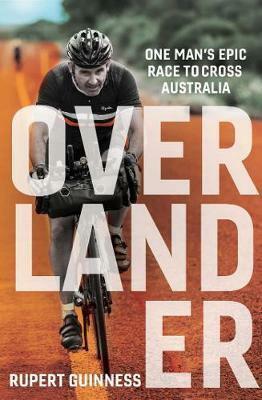 A powerful memoir about an epic bike race across one of the most challenging landscapes in the world Rupert Guinness set out on the trip of a lifetime: to race across Australia in the inaugural Indian Pacific Wheel Race. This was no ordinary bike race. Unlike the Tour de France, which Guinness had made his name reporting on for decades, competitors rode completely unassisted from Fremantle in Western Australia to the Opera House in Sydney on the other side of the country - a gruelling distance of over 5000 kilometres that would not only test riders' physical endurance but their psychological resilience. Dubbed 'The Hunger Games on Wheels', there would be no help, just riders and their bikes crossing one of the most beautiful - and often most inhospitable - places on earth. Rupert's mission was to test his own grit, physical and emotional, as he followed the trail of the pioneering men and women whose historic rides over the last two centuries unveiled a largely unknown interior. But when a terrible tragedy stopped everyone in their tracks, what he discovered was the extraordinary power of the human spirit. Rupert and his fellow competitors were forced to make some of the toughest decisions they had ever faced.